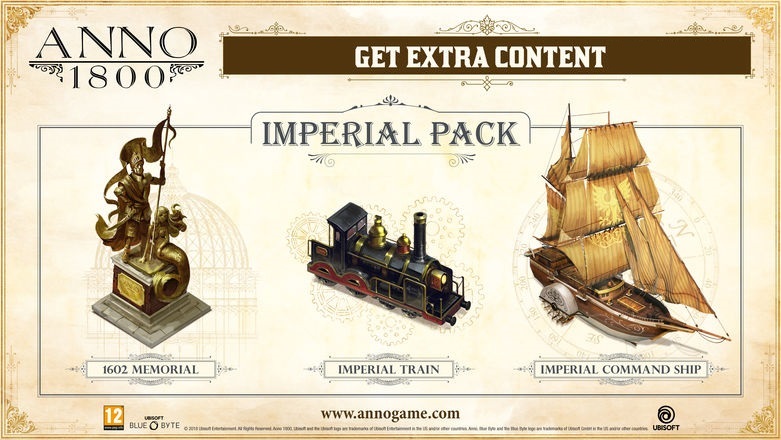 Buy Anno 1800 Imperial Pack now! Make sure to get bonus contents for the strategy game Anno 1800, namely a memorial statue, an imperial train and command ship! The download of Anno 1800 Imperial Pack by Ubisoft is easily available via Uplay.